On the desk of the Oval Office, President Truman kept under glass the one-word telegram Bob sent him following his dramatic upset of Tom Dewey. It read: "unpack." When another President - Abraham Lincoln - died in the house across the street from Ford's Theater, his Secretary of War, Edwin Stanton, standing at Lincoln's side, said "Now he belongs to the ages." 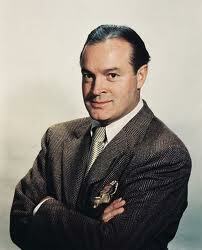 The same is equally true of Bob Hope. He belongs not to our age, but to all ages. And yet, even though he belongs to all time and to all peoples, he is our own, for he was quintessentially American.